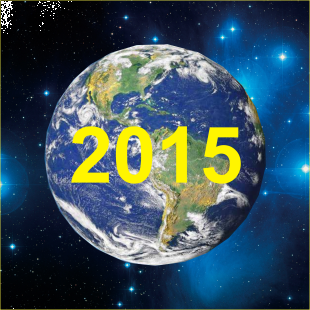 Astrological forecast for 2015 for those entities and countries. The moment of truth in 2015, will be calm, quiet and very busy life. Those who will choose this path, has the opportunity to live life the way you want, and realize that in mind. Those who will be long and hard to learn - to find the right orientation in life. For all the people and especially for women who choose a quiet life, this year will give a great chance to become much healthier and more beautiful. The main negative factor in 2015 will be the temptation of power. Many people and children in this year will come off from the parent at home, from their homeland. Some states may crush into small areas. Benefit those who suffer the test of time; benefit those who really know how to create and edit. Year brings a lot of destruction. And those who are not big fans of quiet life, those who have a parasite, waiting for the danger to suffer from equipment and man-made disasters. This year is especially recommended, as it should think about their actions and to be scrupulously careful about their plans and movements. Avoid questionable adventures, be alert to deception and betrayal, and make every effort to lead a quiet and modest life. A distinctive feature of 2015 will be the emergence of fatal people subjects and discoveries bearing a radical renewal, a breakthrough in many areas of science and fundamental knowledge. It is very important the appearance of folk leaders, whose fate - to act. They will be able to bring to humanity and bring light and good. You do not need to fuss and travel for the sake of pomp and spectacle. But it is recommended to move from charity and missionary activities. 2015 is associated with materialism and buying and selling, so financially it will be a normal and peaceful year. Particularly relevant will be the movable and immovable property. Winners will be those who know how to handle money and materiel. Move, move, and again - move! Alone and those with few friends, those who will lead a sedentary lifestyle, this year the risk of being bedridden, up to paralysis. Stubborn, proud, suspicious, and those who come off from their roots, those who destroyed or destroy their marriage with their hands, risk being left alone. Forever. Especially take care of their loved ones this year. And remember that the evil - is also part of God.